As healthcare delivery becomes more team-based integrating family and a variety of clinicians into care management and treatment areas requires a paradigm shift in facility design. 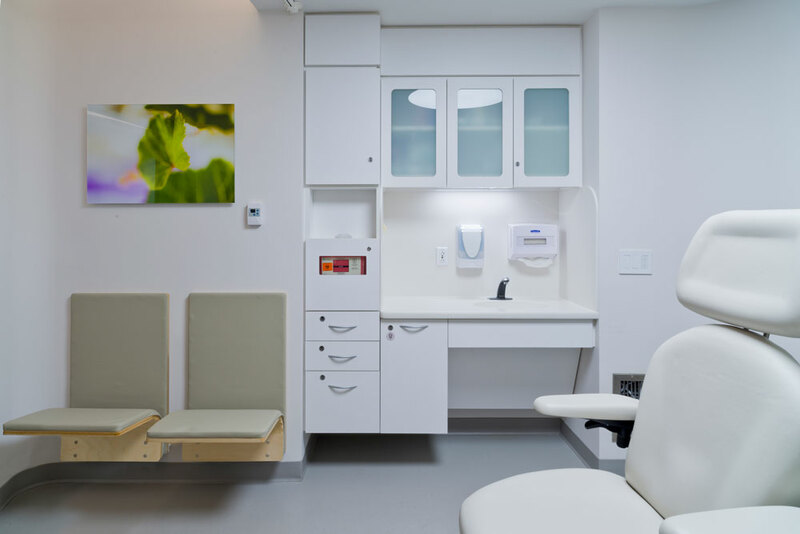 For the construction and expansion of this new Outpatient Oncology Suite, CAMA focused on improving the experience of clinical touch points and the time between, or the time patients and family spend on their own. At the entry vestibule, the team explored a variety of solutions to improve patient engagement, including digital kiosks. 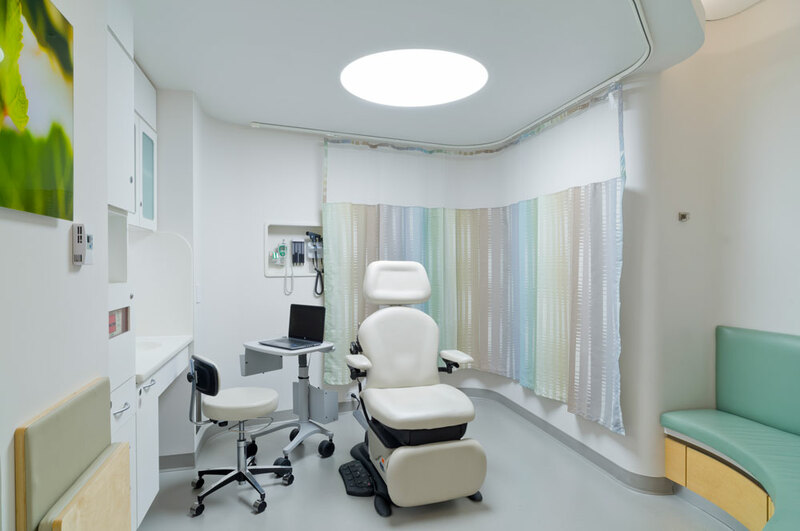 Within exam and treatment rooms, the team explored how specific design features could enhance the interactions between caregivers, patients, and family to improve communication, increase understanding, and reduce anxiety. The exam room was featured in the Time Magazine article, Closing the Cancer Gap.